Signing a cell phone contract is a big commitment. Service providers offer 24-month contracts with a variety of phones and packages. Sometimes, it can be a difficult decision to make. It’s a decision best not made in haste. Trying to get out of a contract is an expensive affair. That’s why it’s important to make sure you choose the one that will suit your needs for the next 2 years. 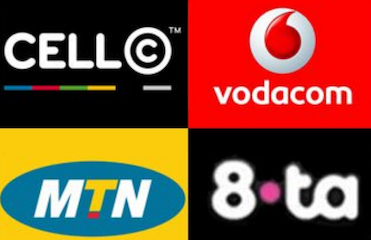 The mobile service providers in South Africa are MTN, Vodacom, Cell C and Telkom. Before deciding on a contract, investigate all the networks to see which is best for you. It’s wise to start off with coverage in your area. Which network supplies the most stable coverage? WANT THE LATEST CELL PHONE DEALS? Ask your friends and family about the networks they’re on and if they have connectivity problems. These include having no signal at all and calls dropping unexpectedly. All networks have weak areas in their coverage. Make sure you choose one that offers stable coverage. 2. What are you looking for from a contract? As cell phones have evolved, the needs of users have changed as well. Look at the different contracts being offered by the service providers. A contract usually comes with a new cell phone. What kind of phone suits you best? Do you want an entry-level, middle of the range or the latest state of the art phone? Decide on your preferred operating system: either iOS or Android? Look at what kind of package suits you. Do you want plenty of talk time or lots of data? Each package offers different combinations. Based on your needs, you can choose the one best suited to you. Millennials tend to use high data, low talk-time packages because they use social media extensively. The older generation still sees an actual conversation as the best way to communicate. They will favour contracts with more airtime. Of course, there are packages that offer you the best of both. Most packages also offer a certain number of SMSs each month as well. Find out about after-sales service. What will happen if the cell phone isn’t working? What are the terms and conditions surrounding repairs? Ask the salesperson about it before you commit to anything. Enquire about the cost of insurance on the phone. Compare it to adding your phone to your current household contents insurance policy. One of the big factors in deciding on a cell phone contract is the price. Packages range widely in price and depend largely on the phone you’re choosing. While having the latest phone is great, it’s wise to remember you can’t eat it at the end of the month! A cell phone contract must be well within your budget. Bear in mind that the cost of living is always rising. Petrol prices are skyrocketing. Interest rates could go up. Make sure that you can accommodate those factors in your budget together with the cell phone contract. It might mean going with a less fancy cell phone, but at least you’ll be able to afford it. Enquire about rates per call. Do they vary from network to network? Some service providers offer free calls to people on the same network. Others reduce the cost of calls within the network. Find out how much a minute of talk-time will cost you. Ask about top-up options. The most important thing is to make sure you’re getting the best rates possible for a contract that suits your needs. There’s no harm in shopping around. Timing is also a factor when you sign up for a new cell phone contract. If you can, wait for periods like the festive season when service providers offer specials. You might be able to save a bit on what you spend, or you can choose a more expensive package. Research your options thoroughly before you commit. Make sure the contract offers you what you want and need. Wait for a sale where you can get a contract at a cheaper price. Choose the network that offers the best coverage in your area.